Sony’s Ultra 4K streaming service will launch in April | What Hi-Fi? We first caught glimpse of Sony’s Ultra service at CES 2016 and now Sony has confirmed it will launch in the US on 4th April. Sony Ultra will have a catalogue of 4K Ultra HD movies including titles such at Concussion, The Walk and Ghostbusters, each available to buy for $30 (around £21). The movies also support HDR. Sony has said that anyone that buys an eligible Sony 4K TV will receive four free movies. And you need to buy a Sony 4K TV should you want to access the Ultra app - it's exclusive to Sony sets. 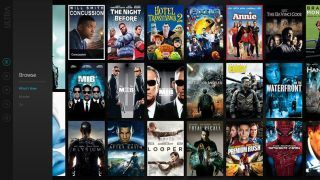 Ultra is however compatible with UltraViolet, the cloud-based digital movie service, allowing you to upload the films to your UltraViolet account and then watch them across other compatible devices. And if you already own an HD version of any of the 4K films on offer, Sony will let you upgrade to the higher resolution for a discounted fee. While it’s good news for the 4K content landscape, Sony’s Ultra service is so far only slated for a US release, with no word on it making its way to the UK.